In the mid-1980s production-based racing was booming around the world. It came in many forms and with varying eligibility rules, the most radical of which involved ‘silhouette’ classes for highly-modified but standard-looking, mainly four-cylinder bikes. The ultimate version was America’s Battle of the Twins and Pro Twins series, which was offering prize money of over $US40,000 (around $A100,000 today) and catering for fans of big twins who hadn’t embraced the tidal wave of Japanese four-cylinders. Meanwhile, Australian and New Zealand national championships were already based around big-bore production bikes. With grand prix racing focused on two-strokes, there was a business opportunity for anyone brave enough to start a world championship that combined fours and twins. Both Australia and the US had prior history in this; Australia with the Chesterfield Superbike Series of the early 1970s and the US with its Production Superbike championship a few years later. 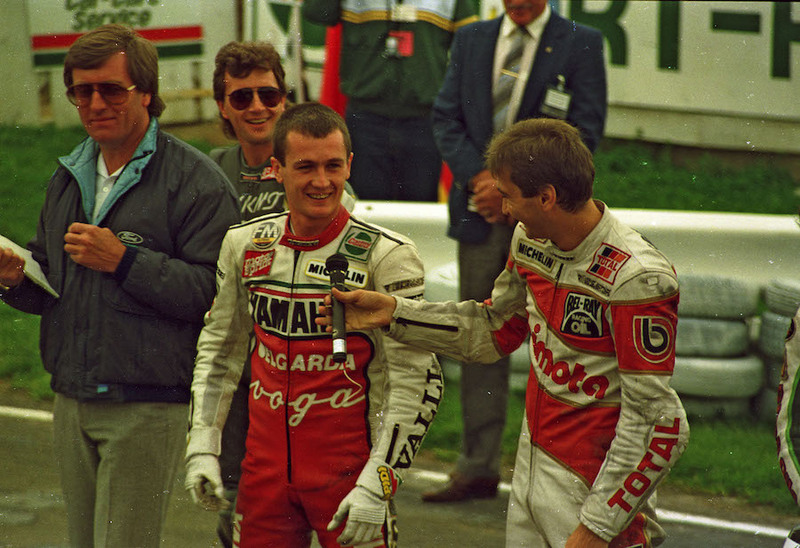 The famous Transatlantic Trophy showdowns in the UK sparked European interest, especially in 1986 and 1987. 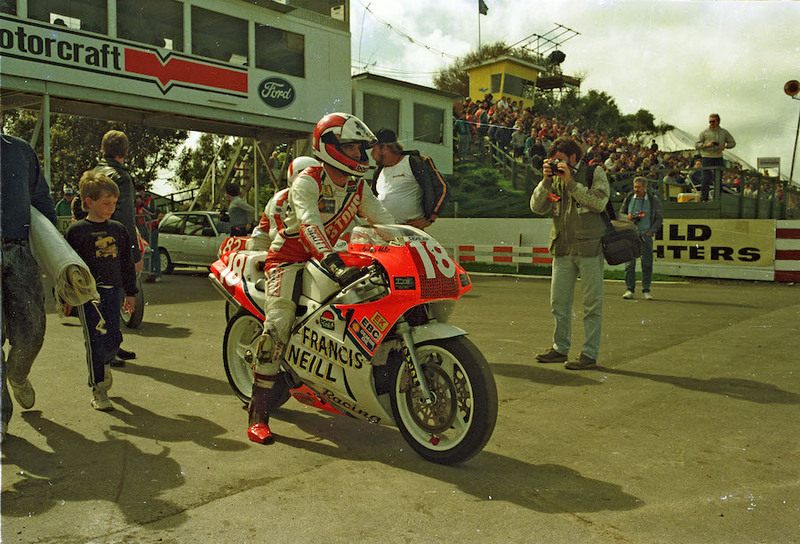 Americans Fred Merkel and a young Kevin Schwantz raced spectacularly in 1986 and the next year Schwantz battled Wayne Rainey. 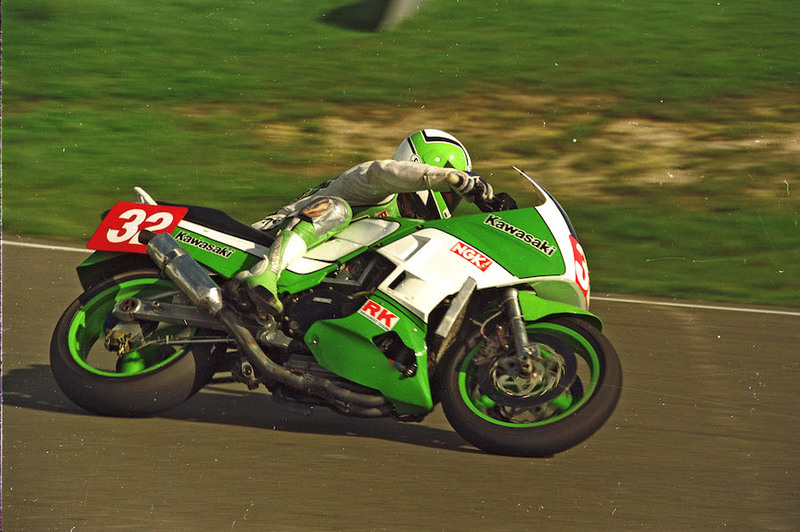 By now former US racer Steve McLaughlin was busy promoting the idea in Europe of a world Superbike championship. He then created an unlikely alliance with a New Zealand sports marketing firm, Global Sports and Promotions. They created Sports Marketing, which as well as establishing the World Superbike Championship of 1988, became a pioneer in getting guaranteed worldwide television coverage. Even the GP organisers hadn’t achieved consistent coverage on this scale. 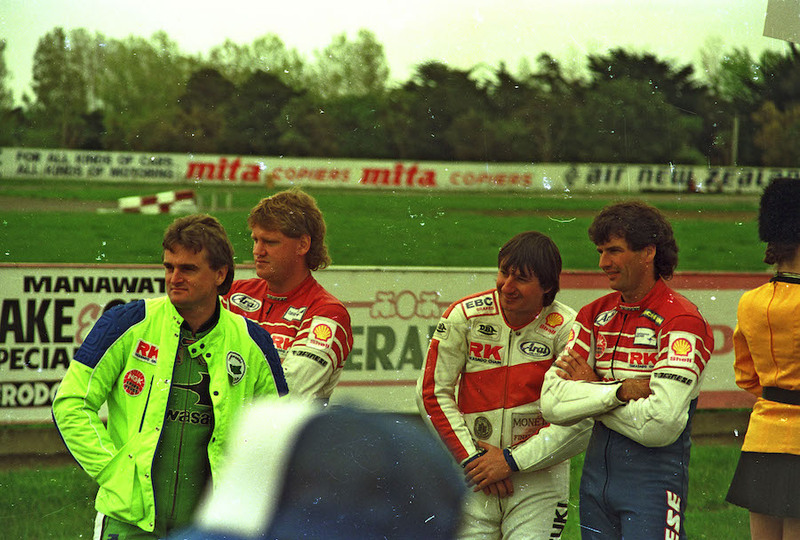 With a travelling fund established and nine circuits signed up, the season began at Donington Park UK, in April 1988. The future had arrived but there was one big cloud hanging over the season, the championship didn’t have a naming sponsor to underwrite the dream. Australia’s Oran Park and New Zealand Manfield circuits would create two fascinating chapters in the dawn of the World Superbike Championship. For two years in a row the Australian round would see the emergence of future world stars humiliating the established hierarchy. The following New Zealand round would then decide the championship under challenging circumstances. 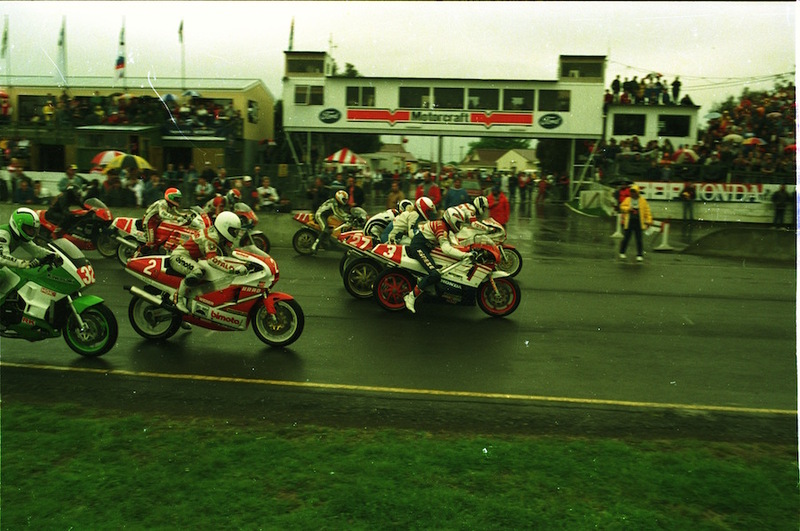 The Superbike circus first rolled into Sydney’s tricky, concrete-lined, 2.6km Oran Park circuit in late September 1988. 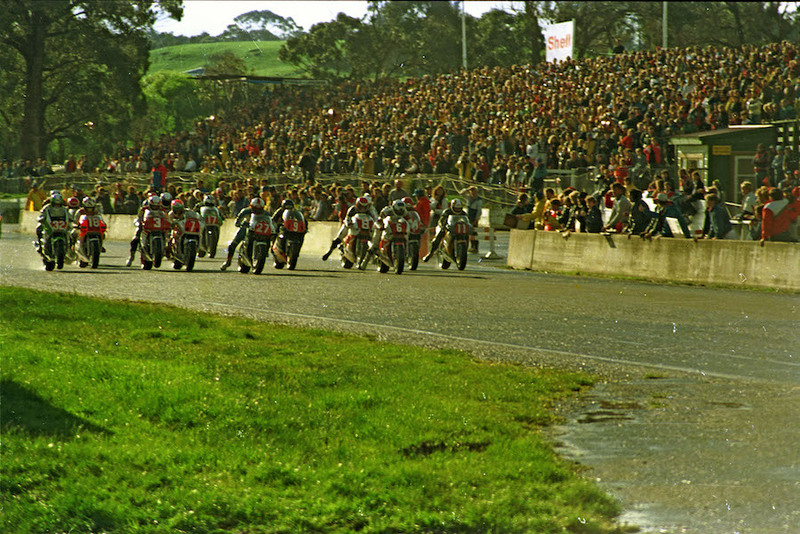 It was the first time a round of any world championship motorcycle road race had been held in Australia (the first Australian Grand Prix was held at Phillip Island the following April). Bimota factory rider Davide Tardozzi was leading the championship from Yamaha’s Fabrizio Pirovano with Honda’s Fred Merkel in third. Early championship leader Marco Lucchinelli had faded throughout the season but, despite finishing third and fourth in the previous round in Portugal, the Ducati team didn’t front Oran Park. But there was plenty of talent on display. Among them was Gary Goodfellow, who had given Suzuki its first world Superbike win in Race 1 at Sugo, Japan. Now he was on a Honda RC30. The entry list of nearly 30 included 10 RC30s, being ridden by such big overseas names as Terry Rymer and Robert Dunlop. Top locals on RC30s included Malcolm Campbell and Rob Scolyer. There were eight Yamahas entered, all of them except Pirovano’s ridden by locals. 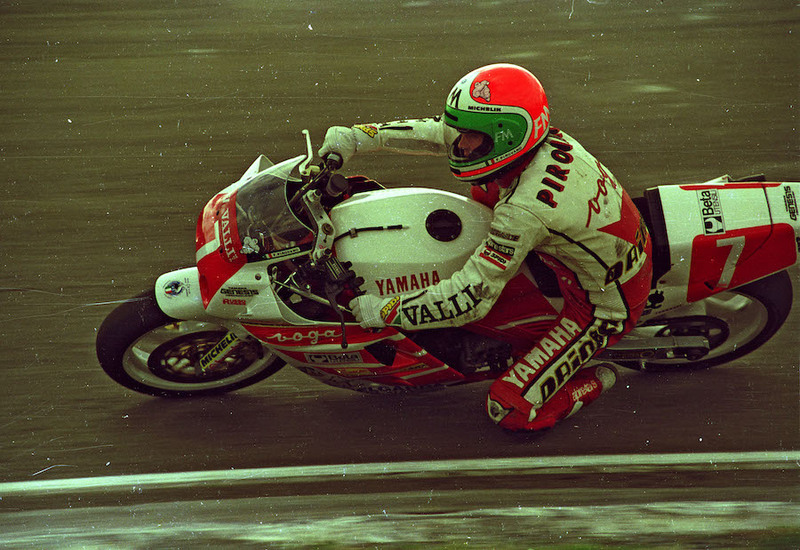 Pirovano had won the first race in Round 6 in France, but it wasn’t Yamaha’s first World Superbike win. That honour had been achieved by a relatively unknown young Aussie with a carefree attitude. 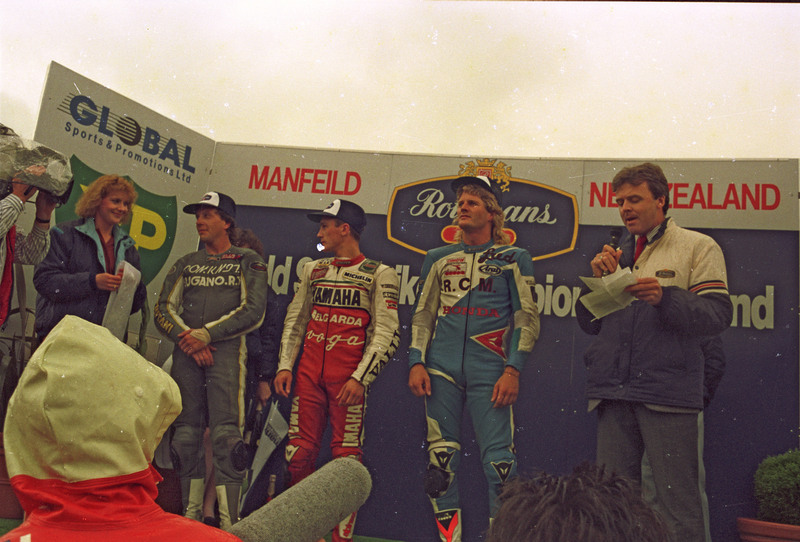 Mick Doohan had won Race 2 at Sugo in Round 5 by more than six seconds. Now he was back on home turf as part of the Australian Yamaha team alongside Michael Dowson. 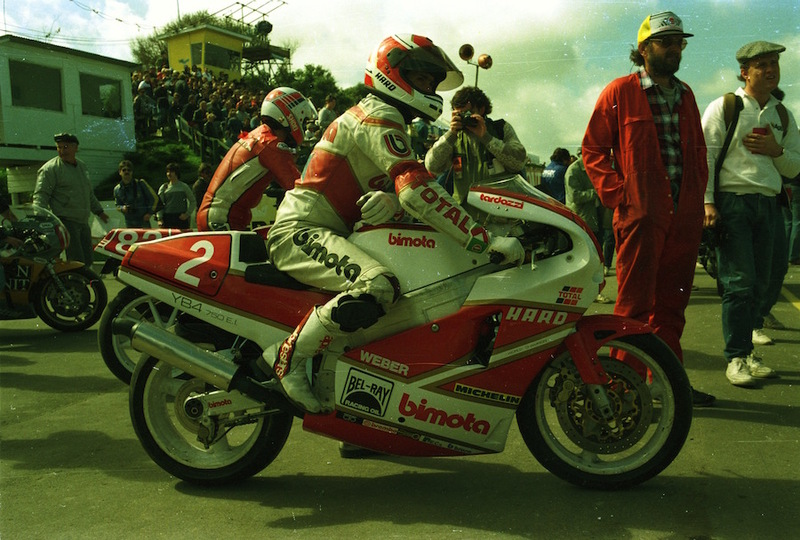 Using Yamaha engines with its own fuel-injection system, Bimota showed its determination to win the championship. Even its technical director and chief designer, Dr Frederico Martini, came Down Under to oversee operations. Stephane Mertens completed its two-rider team, while young New Zealander Andrew Stroud was competing on a privately entered Bimota YB4. Bimota would set record sales for its products that year, underlying the significance of the new world championship to European manufacturers. Meanwhile Ducati, the future dominant force of world Superbikes, was barely noticeable at Oran Park. Kiwi Robert Holden was entered but didn’t front the starter after mechanical issues on a new 851 Superbike, leaving Robert Slaytor to carry Italian pride on his Saftune-sponsored, air-cooled and obsolete F1. He finished both races at the back of the field. There were three locally-entered Suzuki GSX-R750s and just a lone Kawasaki, Team Kawasaki Australia’s Rob Phillis on an almost out-of-date GPX750.